One of the great strengths of the Pathwork is discovered in doing one’s spiritual work with others. The Pathwork Process Group at Earthwalk Ways is an open group where students come to learn from each other and work directly with the images and issues not only in our ongoing lives, sharing about our on going experiences deeply with others, but also in the moment as we end up honestly looking at what comes up inside us in the group and between group members. This always points to our inner material and is a beautiful and dynamic way of breaking through our old dynamics especially where it comes to our connections with others. Many people who do work with me individually express this deep longing to find others like themselves who are on this spiritual adventure of life. The group is the answer for this longing. We meet about 2 times a month on Sundays from 11 – 2. 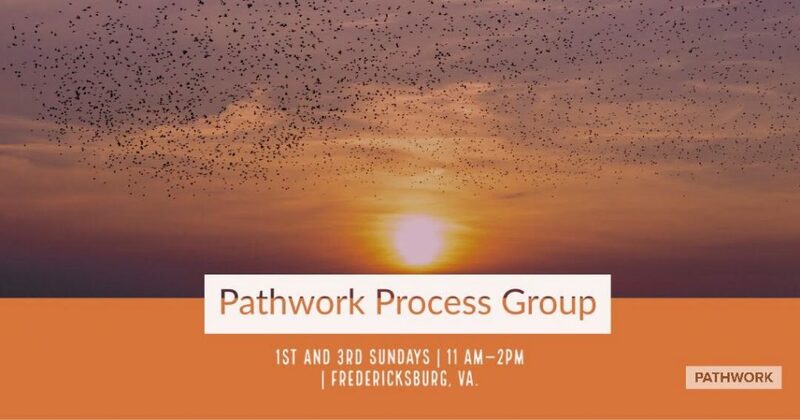 Contact Darlene Rollins if you live in the Fredericksburg VA area and are interested in being a part of a process group. If the time is not available, I can put you on a list for future groups. The International Pathwork Foundation is the official Pathwork® organization that works to increase and disseminate Pathwork consciousness throughout the world. This members community serves to provide a place for Pathworkers to meet and share with other Pathworkers.